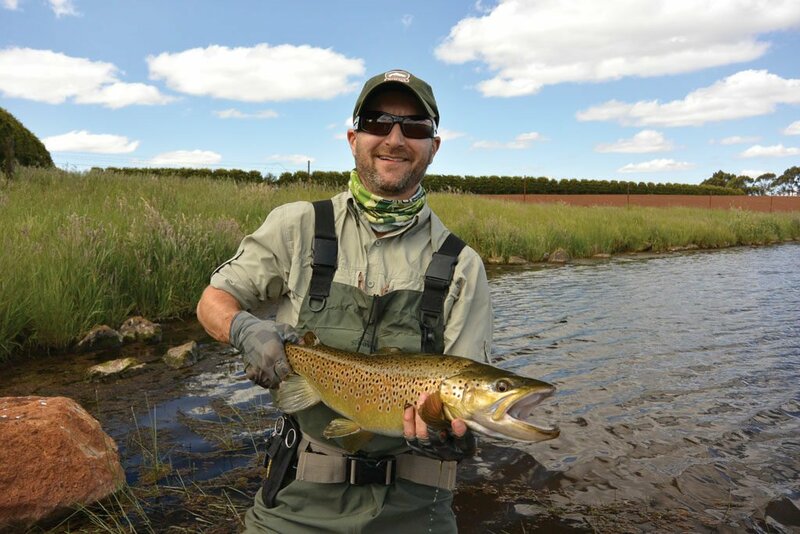 “My interest in fly-fishing started in boarding school but was rekindled when I was on a holiday with my wife. We were spending a year travelling around the USA, Canada and South America and—as sometimes happens—we were getting a bit irritated with each other. We decided to spend a day doing our own thing, so she went horseriding and I went fly-fishing with a Canadian bloke. “After that experience, I was hooked. My next stop was at a fly-fishing shop where I bought all the gear, flies and rods. When we returned to Melbourne, I had a couple of colleagues who took me under their wings and taught me the intricacies of fly-fishing. I went away on a couple of fishing trips with them, including one to Darwin. “After that I could look after myself and was regularly fly-fishing in both salt and fresh water. I also learnt how to tie my own flies, which is endlessly distracting. There’s a different fly for every fish and every situation. At present, my fly box holds about 300 flies. “I own about 20 rods and I would hate to count the number of reels. I also own a farm that has a river running through it and when I’m there, I spend a lot of time practising my casting and fly-fishing technique. “There are many different types of fly-fishing and different types of people involved in the sport. It’s always nice to meet and socialise with a group of like-minded people. The vast majority of fly-fishers are really great people. “I’ve been an environmentalist from way back so I use barbless hooks and I always catch and release. As much as I enjoy the fishing, it’s also an opportunity to pull on a backpack and visit somewhere really remote for a few days. I’ve travelled all over the world fly-fishing—Alaska, South America, England and even Christmas Island.